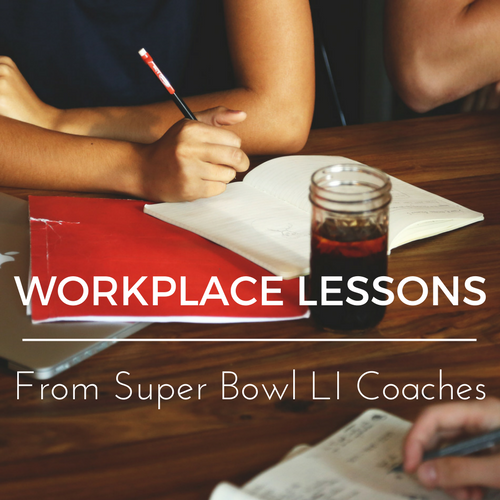 Workplace Lessons From Super Bowl LI Coaches | Challenger, Gray & Christmas, Inc. However, one workplace authority suggests that the nation’s business leaders watch the game with a more critical eye, focusing primarily on the teams’ respective coaches, both of whom can offer valuable lessons on workforce management and leadership. “There is a reason that these are currently the two best teams in the National Football League. Both coaches have found success due in large part to their respective approaches to managing their teams,” noted John Challenger, CEO of global outplacement and executive coaching firm Challenger, Gray & Christmas, Inc. In Dan Quinn’s first season as defensive coordinator with the Seattle Seahawks, the team led the league in fewest points allowed, fewest yards allowed, and most takeaways. This year, in just his second year as head coach with the Atlanta Falcons, the team fought its way into the Super Bowl. “One of Dan Quinn’s first actions as the head coach of the Falcons was to install a basketball hoop in the meeting room to foster competitiveness and a desire to perform at peak ability within his organization. This week, he brought in three ping pong tables to help players bond. Forward-thinking companies offer similar non-work activities and distractions as a way to get the most of their workforces,” said Challenger. Belichick also uses a comprehensive screening to filter talent that will work best within his system, something the human resources community strives to do with every resume and interview. “Like many successful companies, Belichick understands the importance of corporate culture. The best talent flock to organizations that develop a sense of purpose, achieve success, and recognize individual contribution,” said Challenger. Assess performance to ensure talent fits with your vision. More companies plan to spend on big data analytics in HR, according to a 2015 Towers Watson Survey. This data can be used to not only track the work of your employees, but also find strengths and weaknesses within your workforce. If you know when and where your worker does his or her best work, you can better evaluate roles, salaries, advancement opportunities, and job descriptions. Implement programs to develop your talent. Like Quinn’s basketball hoop, employers can create opportunities for their workers to compete and perform at their best. This could come in the form of sales competitions, team volunteer opportunities, or problem-solving exercises, like Escape Rooms. Pump up your workforce. Quinn uses music to get his team ready for practices in games, hiring in-house DJs in some cases. Employers can do similar things to increase morale at work: group lunches, after-work socializing events, and recognition programs, like gift cards for going above and beyond. Care about your workforce. Both Belichick and Quinn are known for helping their team members off the field. Take an interest in your employees outside of work, in their families, interests, and hobbies. Not only will they enjoy coming to work, but you will also build trust and loyalty.